Those of us with high blood pressure are advised to always be vigilant- to watch what we eat, to take our medications, and to monitor our blood pressure if we can. 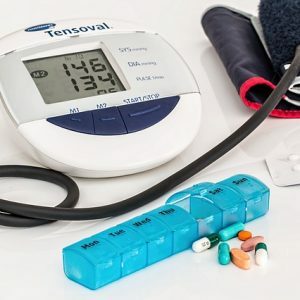 In fact, home monitoring blood pressure devices are so commonly used now that the global market for their use is estimated to be worth $2 billion by 2022. But a recent study published in the American Journal of Hypertension calls into question the reliability of home monitoring machines. Researchers in Canada tested dozens of different brands and found that home blood pressure monitors were wrong 7 out of 10 times. This could be a serious concern if you have hypertension, as you may get a false sense of security that is all is okay. The bottom line? You may need to check the accuracy of your machine against the professional equipment of a physician. And you need to check out the details of this study by Reading Here.